In between the close of the NLCS and the start of the World Series, Theo Epstein told us Cubs fans that Joe Maddon would have all of the coaches that he wanted back for next season. The implied lack of turnover wasn't too surprising, given the immense success the franchise has had under their tutelage in the last three years. However, one might notice that there was a deliberate loophole left in that statement... the ones that Joe *wanted* back. Since that time, much-heralded pitching coach, Chris Bosio has been handed his walking papers. His success in reclamation projects has been unparalleled in recent years; but, his magic and his act seemed to wear thin in '17. Furthermore, John Mallee (hitting) and toothpick-chompin' Gary Jones (third base) have been given their walking papers. Furthermore, Eric Hinske, the assistant hitting coach, took a promotion with the Angels as their primary batting tutor. Now, according to the front office, the turnover comes mostly as the result of a desire to bring in a new crop of voices and the availability of other coaches. In summation, the coaching staff of the 2018 Chicago Cubs is going to have a very different configuration. Of course, Chili had a long and productive career as a Major League player for the Giants, Angels, Twins, Royals, and Yankees, from 1981-99. Seeing as his career spanned throughout the entirety of the "junk wax" collecting period, I had no shortage of Chili's to choose from in my trade box to move into my Cubs collection. See? And that was after just a cursory check. 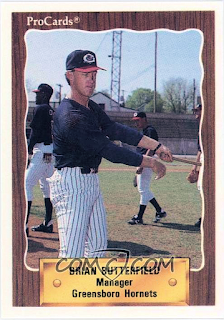 Even though, in my years of hoarding trading cards, I never collected Chili Davis, the Angels, or the Twins, I have many Chili's to choose from for my Cubs coaches binder. Since the slugger played in the 80's and 90's and was a semi-star, thanks to the overproduction so prevalent during his time patrolling the outfield, I am nearly overflowing with Chili! Once he hung up his spikes, Davis' .360/.451/.811 slash line and 370 home runs landed him jobs as the hitting coach for the Athletics and the Red Sox. He's been known for his patient approach and inclination to work the count, holdover traits from his playing days - he walked 12% of the time and struck out in just 17% of his AB's. The Cubs, in need of a hitting coach and having the same, "make the pitcher work" philosophy, pounced and signed him to a contract yesterday, satiating their sudden hankerin' for chili. Meanwhile, Davis wasn't the only addition to the coaching ranks to be added on Thursday. Also signing on the dotted line was Andy Haines, earning a promotion from roving minor league hitting coordinator to assistant hitting coach, taking over for the aforementioned Hinske. This will be Haines' first stint in a Major League dugout. 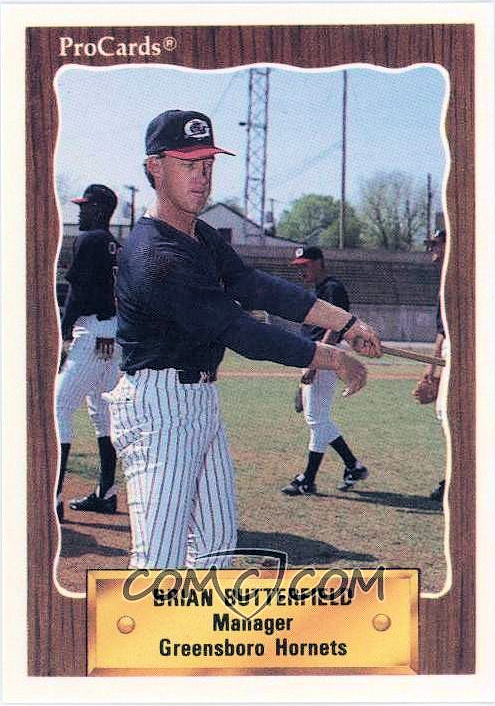 Normally, even the most fervent of baseball addicts doesn't even get excited about a new assistant hitting coach hire; yet, I'm pretty pumped up. Why, you ask? Well, back in 2007, Haines cut his teeth with our local independent, Frontier League baseball club - the Windy City Thunderbolts. In fact, he helped lead the traditionally second-division band of rag tags from irrelevance to their first league championship in his only year at the helm. Not bad for his first year as a skipper, eh? That performance afforded him opportunity in affiliated ball and now he's risen all the way from Crestwood indy ball to the glitz and glamour of the Major Leagues. I must admit, I'll feel a good bit of local pride when I see him don a Cubs uniform for the first time. 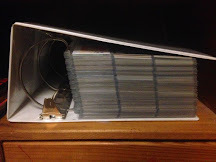 Seeing as I almost never miss the 'Bolts annual baseball card team-set giveaway night, I just so happened to have his '07 managerial pasteboard in my collection already. A second copy would be ideal, however (for now, at least), he'll transition from my T-Bolt memorabilia collection to my Cubs All-Time Coaches binder, with Chili Davis. Also announced with the Davis and Haines signings was the addition of Brian Butterfield, taking over the third base coach's box from Gary Jones. 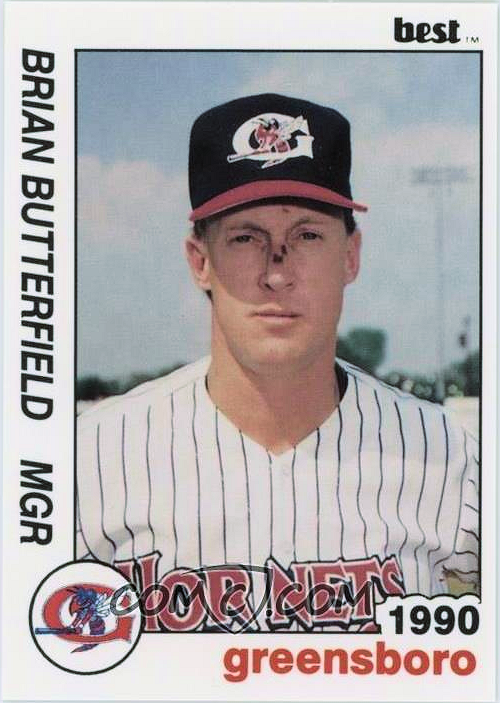 Butterfield is a longtime fixture in Major League instruction, having served in various roles for the Yankees, Diamondbacks, Blue Jays, and - most recently - the Red Sox. He'll be defecting to Chicago along with his former Boston staff-mate and fellow subject of this post, Chili Davis. Unfortunately, since Brian's playing days were brief, in the early 80's, he never rose above A-ball, and the big card companies rarely show love to coaches, he doesn't have much of a cardboard presence and, thus, will remain unrepresented in my collection until I can track down one of his Best or ProCard singles. A pair of Butterfield examples, courtesy of COMC. That about covers the Cubs early off-season coaching shuffle... at least for now. As of yet, there has been no replacement named for Chris Bosio; although Jim Hickey is seen as the favorite, especially considering his long run as Maddon's PC in Tampa Bay and the Cardinals taking Mike Maddux off of the market (Edit - after drafting this post, it was reported that Hickey has indeed signed on with Chicago). Additionally, bench coach, Dave Martinez, appears to be a finalist for the vacated manager's chair in Washington and may yet also be lost. Only time will tell what other changes might be in store this offseason, but - as you can plainly see - that early reassurance of coaching staff stability has been completely shattered. Not that the coaching likely had much of an affect on the Cubs meek NLCS loss, but it'll be nice to see some new blood leading the way for next year's club. I'm excited to see the approaches of Chili Davis, Andy Haines, and crew and what changes that they might implement to the still well-oiled machine that is the Chicago National League Ballclub. Maybe the strikeouts will start to dwindle? In any case, welcome to Chicago (and to my Cubs binders) guys! I have no problem with the changes. I'm worried about the pitching outlook so maybe a fresh start is a good thing. Plus Hickey is Joe's guy. Cool that you had a Haines card. I love for Chili in a Yankees uniform. That's *vote* for Chili in a Yankees uniform. I'll miss Davis and Butterfield as Red Sox coaches. I wish them nothing but success! Sorry for yours and the Red Sox' loss... but it always makes me feel better about new hires when previous fans speak well of them.